Neil Sader, a Kansas City student loan lawyer, has had great success working with student loan clients by helping them choose the best modification or repayment option for their circumstance or, when necessary, reducing their student loan debt through bankruptcy options. The Sader Law Firm was featured in Missouri Lawyers Weekly for obtaining through a bankruptcy court settlement a reduction in a client’s student loan debt by $250,000. Kansas City student loan lawyer Neil Sader has also been the subject of student loan articles after he was featured on the front page of Reddit and is known nationwide as an authority on the subject. 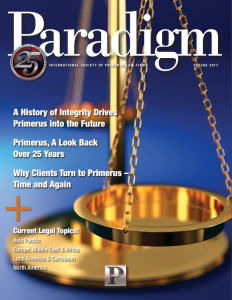 Additionally, two of our attorneys, Neil S. Sader and Michael J. Wambolt, recently coauthored an article for Paradigm on repaying student loans. The Sader Law Firm assists student loan borrowers nationwide with loan modifications and repayment plans and is able to assist borrowers locally with bankruptcy court options, when applicable. Student loans are one of the most widely held forms of debt in the United States, with more than 40 million Americans holding $1.3 trillion in debt. While the average student loan debt is just under $30,000, there are now numerous cases where loans are financially unbearable. Depending on the profession and institution attended, student loan balances exceeding $100,000 and more are commonplace. Adding compound interest and fees into the equation, these loans can double, triple and quadruple over the course of decades. When borrowers fall behind on student loans, the consequences can be catastrophic to their finances and financial futures. Borrowers can face wage garnishments, tax refund garnishments, harassment by creditors, lowered credit scores, an inability to save for retirement and difficulty obtaining financing for mortgages or car loans. Can Borrowers Obtain Real Help Through Modification and Other Programs to Reduce the Student Loan Burden? Income Based Repayment Plans (IBR): Borrowers may refinance and pay back on an income-based repayment plan, which is about 10 percent of their income and would end after 20 years or 25 years depending on when the loans were taken out. For people employed by a non-profit or public entity, the repayment plan could end after 10 years. Forgiveness Plans for Stafford and Perkins Loans: This may apply for teachers, VISTA volunteers, military, peace corps, speech pathologists, government workers, non-profit workers and other service-based professions. While there may be fewer options in dealing with private or non-government loans, some options do exist, and we can help clients chart the best course given the alternatives with these types of loans as well. Determining the best course of action for a student loan borrower can involve tax considerations, decisions on consolidation, rehabilitation or other options, along with a host of other individual concerns. How Are Debtors and Attorneys Discharging Student Loans in Bankruptcy? It is possible for student loans to be discharged in bankruptcy, but only under the theory that the loans create an undue hardship. By filing an adversary proceeding within a bankruptcy case, the court will specifically consider whether the loan payments would cause undue hardship for the debtor. The result of the adversary could be a complete or partial discharge of the student loans. Also, some debtors have been able to negotiate with the lender during the adversary and obtain a favorable outcome without waiting on a judge. Who is Eligible for a Bankruptcy Hardship Discharge of Student Loans? Bankruptcy Courts in Kansas use the Brunner test to determine whether there is undue hardship. Depending on whether undue hardship is found, the Court may grant or deny a discharge of student loans. The Brunner test requires debtors to demonstrate that their financial state cannot maintain a minimal standard of living and that their financial situation is unlikely to change. In Missouri, Bankruptcy Courts use the “totality of circumstances” test to determine whether to discharge student loans due to undue hardship. The totality of circumstances test observes the past, present and future financial circumstances of borrowers. This test is somewhat easier to qualify for than the Brunner test. One of the reasons for this is because, unlike the state of Kansas, if undue hardship is found, it doesn’t matter whether the borrower previously made a good faith effort to repay the loan. Consult with a Kansas City student loan lawyer if you need further clarification. The opportunity to address these issues can help save a student loan borrowers thousands of dollars or more over the life of the loan. Student loan debt should not ruin your goals of financial security. For many, the hardest part is making that first call and asking for help. Often, our prospective clients feel better immediately after speaking with a lawyer and learning about their legal options for debt relief and a fresh financial start. The Sader Law Firm offers information to student loan borrowers by calling us directly or filling out the online bankruptcy contact form on our website. today to set a Student Loan PHONE or VIDEO CONSULTATION. The Fee for up to One Hour is $179.00.